A couple of months ago I got an email that left me slightly confused and also intrigued. 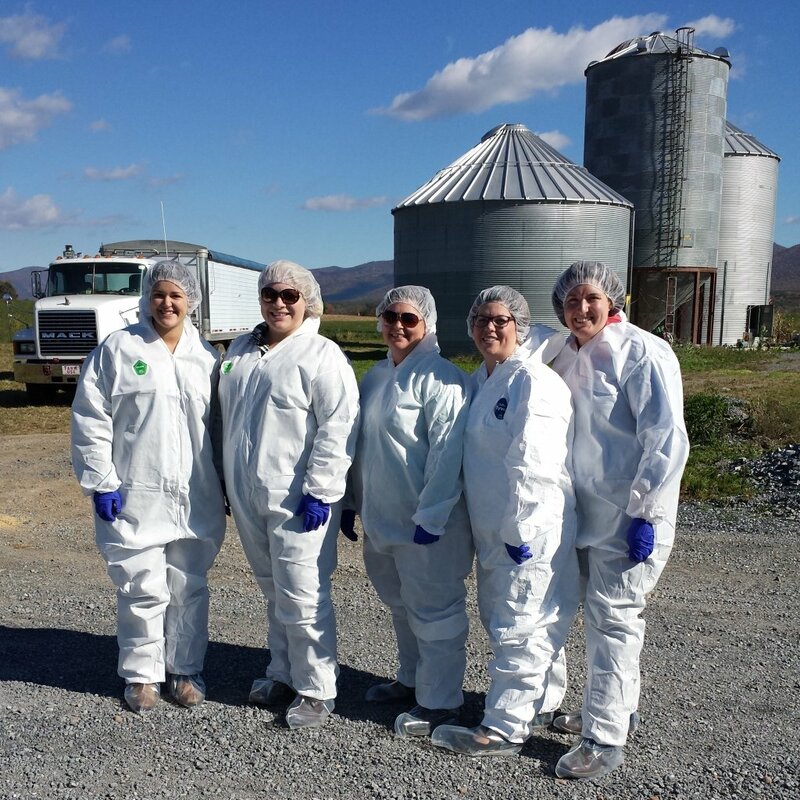 The email was an invitation to join a small group of bloggers from around the country to travel to Virginia and visit a Turkey farm. The email was from the marketing company that works with Cargill to promote their Honeysuckle White and Shady Brook Farms brands of turkey. The email mentioned that they were going to be making a big announcement about their turkey and wanted me to be part of it. I’ll be honest, my first thought was that maybe someone hadn’t done enough research on me and my blog before they invite got sent. I had a pretty good idea that the big announcement would be something about Honeysuckle White and Shady Brook Farms Turkeys being antibiotic free. I figured that the nice people at the marketing company would find out about my open letter to Panera Bread last summer calling out their “antibiotic free chicken” marketing campaign and the ensuing outcry from farmers across the country and before my plane took off I would get an email saying that they were just kidding about wanting me to come. That didn’t happen and I went to Virginia and visited a turkey farm. 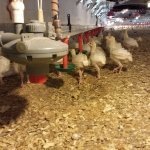 Before I get into the big announcement, and yes it does have to do with going antibiotic free, let me give you a quick photo tour of the turkey farm we visited. 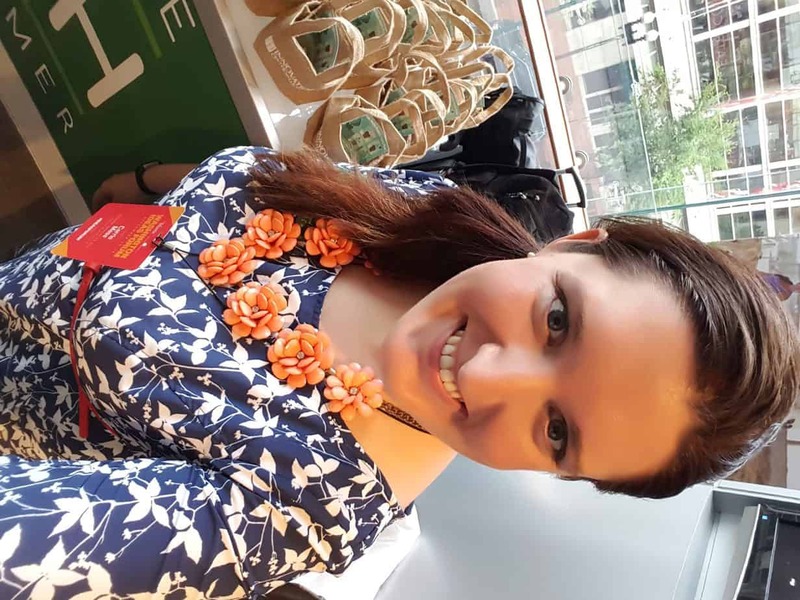 Getting to meet food bloggers from around the country was pretty cool! I must say, we make these white suits look good! Ready or not turkeys, here we come! This is the inside of a turkey barn. The poults, baby turkeys are called poults not chicks, have ample room to move around and roam as they please. There are about 35,000 poults in this barn. After they reach a certain size the birds are moved from this barn to two other barns where they finish growing. Hi little dudes! I have to admit, the whole half fuzz and half feather look is not the most attractive look. I call this the awkward teenager look. These poults are about 3 weeks old. The red circles are the feeders for the poults. There are turkeys on the side I am standing on but they were a little freaked out by the herd of marshmallow people that had invaded their turf and they moved out of the way. This is where the poults drink. Turkey poults spend their time a lot like our cows do. Pretty much hanging out with their buddies, eating and sleeping. They don’t really care much for standing still for pictures. After the tour we all headed to the house for a treat! Glenn makes amazing kettle corn and we all stuffed ourselves silly on it! The farm we visited belonged to Glenn Rodes and his family. The farm raises about 280,000 turkeys each year. While the Rodes family sells their birds to Cargill for their Shady Brook Farms’ brand, the farm is very much owned by the family. Glenn’s brother owns a dairy farm right down the road and the family also grows crops and does custom harvesting for other farmers in the area. After seeing all the things that this family has going on I was surprised when Glenn told me that the farm had zero non family employees. In addition to caring for the land and animals in his care, Glenn has a real interest in alternative fuel sources. The farm has installed equipment to help produce biodiesel from crops that they grow on their land. Glenn even has his own YouTube channel that you can check out HERE. Before we toured the farm we were told the big announcement. 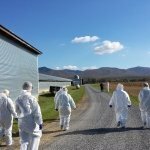 Cargill has worked with their Honeysuckle White and Shady Brook Farms turkey farmers to end the use of all growth promoting antibiotics. Some of their farms have already stopped using antibiotics in this way and in 2015 the rest of their farms will join this new program. This announcement left me with several questions and I’ll admit that I was very skeptical. I had a lot of questions! There wasn’t a question I asked that they didn’t answer. Here is what I learned. Currently the more common antibiotics used as growth promoters in turkeys are part of the Tetracycline family. While these antibiotics are not the type that doctors rely on for humans, they do have uses in human medicine. When I was a teeenager I had horrible acne, I was on a low dose of tetracycline for years to try and combat my acne. While I suspect that using low dose antibiotics in humans like I was prescribed has more to do with creating antibiotic resistance than feeding turkeys the medicine, it’s going to take changes for all of us to combat this problem. 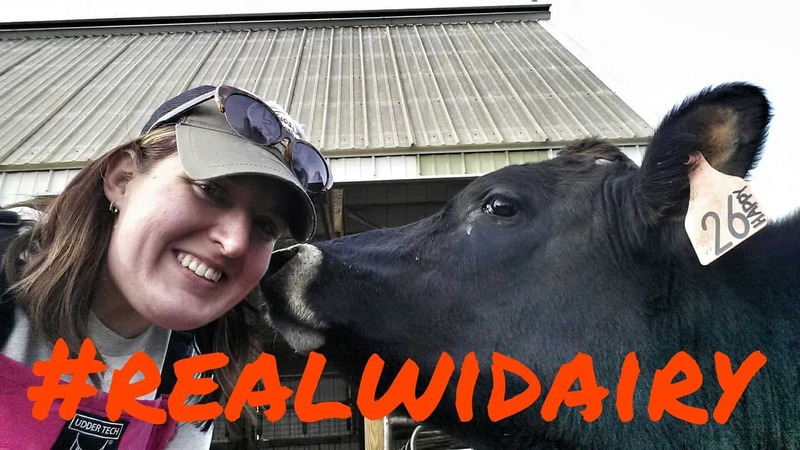 The farms are not going completely antibiotic free. I believe that it is wrong to expect farmers to not use antibiotics when they have sick animals. Thankfully, it seems that Cargill agrees. Until humans are willing to stop taking antibiotics for their illnesses, let’s not force our animals to. These farms will still be allowed to use antibiotics for sick birds. Of course any birds that are treated with antibiotics will not be sold for food until they have passed the established withdrawal time for the medicine they were given. This is the case with all milk, meat, eggs and so on. I assumed that this new policy that Cargill was enacting would result in a price hike for customers at the grocery store so I asked just how many more days it would take for turkeys to reach slaughter weight without the use of drugs. Although I didn’t get a specific answer, it sounds like it is a minimal amount of extra time, we were talking days, not weeks. My next question was how much of a premium would be added on to the cost of these turkeys since they were going to be raised a little different than other birds. Here is where I was pleasantly surprised! The Honeysuckle White and Shady Brook Farms turkeys you find in the store will not be going up in cost to reflect this change in farming practices. The company is committed to keeping their products affordable for all people, regardless of the practices they change on farm. Cargill is also backing up their claims with more than just label claims and marketing, unlike other companies we may know, I’m looking at you Lifeway Kefir! They are going to be USDA Process Verified, ensuring that you’re getting exactly what you think you’re getting. I haven’t done a complete 180 on hating fear based marketing, I promise. Knowing that it is illegal to give poultry hormones, it still bothers me that brands tout that they are “Hormone and Steroid free*. 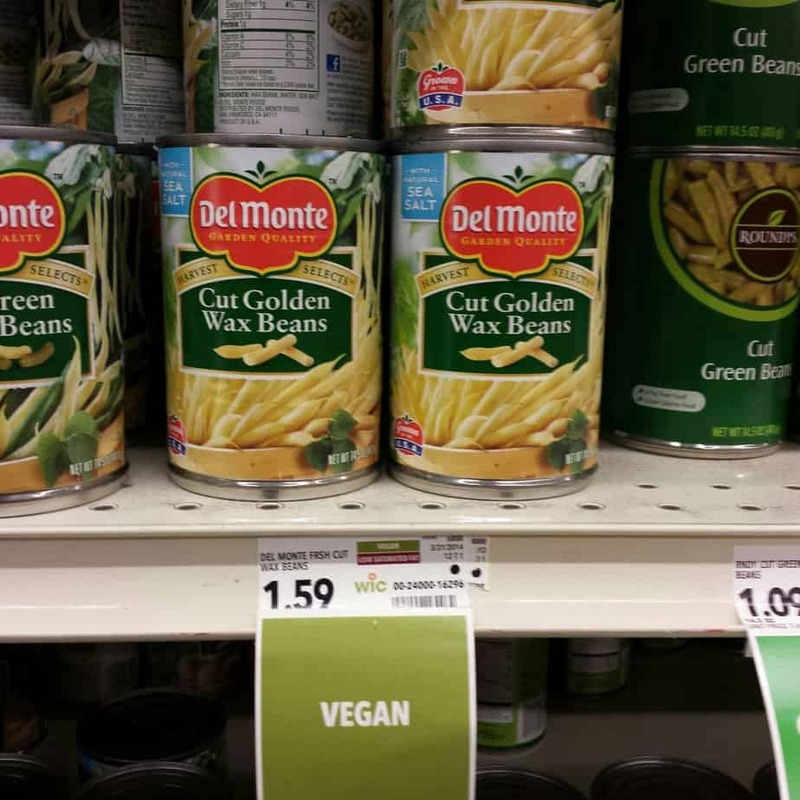 However after a recent trip to the grocery store I decided to cut them some slack when I discovered that there wasn’t a single brand of turkey or chicken that did not contain this little marketing gimmick on it’s label. Until we have better regulation of marketing clams, that’s just not a fight that we will win. I’m glad that Cargill has decided to be proactive on this front. While farmers may bristle at the notion that agriculture is responsible in creating “super bugs” we cannot stick our heads in the sand. If stopping the use of antibiotics in this fashion will in any way help to slow the rate at which multi-drug resistant bacteria is growing, it’s our responsibility to do so just as it is the responsibility of human physicians to be smarter about prescribing antibiotics. Now on a lighter note, you know what goes great with turkey? Butter. It’s all about that baste. 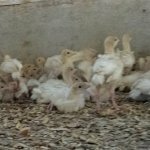 Oh and if you’ve heard some of the foolishness that the FoodBabe has been spouting about Turkeys and something called “Ractopamine” take a minute to read this blog from an actual turkey farmer. She knows a lot more that a woman who doesn’t even science. 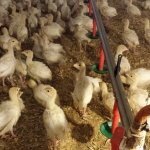 23 Comments on Turkey and Antibiotics- What I learned when I visited a turkey farm. I am so glad that they are offering an alternative to eliminating antibiotics that are used to treat disease. This continues to be my greatest critique of “Organic” animal agriculture. We need to be out in front on marketing that meets consumer needs while educating them on the use of antibiotics. The same person who wants to eliminate antibiotics from production of the food they eat may gladly go to the doctor and pretty much demand antibiotics for the child’s ear ache. Thanks for linking to my post. I’m interested in finding out how the move to antibiotic free works for this family. They’ll give them something else harmful. All they got to do is just open the damn houses on each end in the morning maybe have a corral about the size of half an acre and let them get out and they’ll probably be fine. I would encourage people to get small chickens and turkeys in the Spring and harvest them in the Fall for yourself. I don’t trust them, because they’ll give them something and it will be more harmful than the other stuff. I mean we find out every month they are putting in shoe rubber or sawdust or something into food that might not be harmful, but it’s just junk. Like sawdust would never hurt you, but devoid of nutrition. It was such a treat to meet you! I am so glad we had the opportunity and yes we rocked those white suits for sure! Very nice post. We receive a Honeysuckle turkey each year and it is wonderful. Thank you for sharing this information. I bet all those turkeys say “Gluten Free” on them someplace as well. Thanks for the informative post. 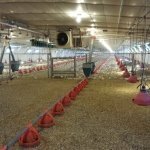 I had no idea they could house 35,000 young turkeys in one barn! I’m glad these changes are happening. Given that the growth promoting antibiotics only speed the process by days, it definitely doesn’t seem worth the risk to use them. How long does it take a turkey to be ready for slaughter? Did you get any photos of the adult turkeys? 12 weeks on13-15 lb. birds up to 20-21 weeks for 42-48 lb. toms. Wow! I didn’t know they matured so fast. So, the 15 lb turkey on my table at Thanksgiving will probably be 3 months old? Lizbeth, on my tour they said that the whole birds that we have at Thanksgiving are closer to 6mo old. The birds grown for other uses, breasts and the like are 13 weeks ago at slaughter weight. I grow turkeys in Minnesota. Turkeys are marketed before 6 months. Heavy tom turkeys are marketed between 20 and 21 weeks. It takes too much feed and costs too much to market at 24 weeks. You have to remember if the turkey’s weight in the grocery store is 15 lbs, that bird would weigh between 18 and 19 lbs. live. A turkey weighing 24 lbs. net weighed around 30 lbs. live which probably would be considered a consumer tom marketed around 15 weeks of age. Heavy hens are marketed around 18 weeks and can average between 22 to 24 lbs. live, figure 80 % yield ( net weight). I don’t doubt you Mike. I’m just sharing what I was told on my tour. Maybe the difference in time is due to different bird genetics, temperature or goal weights for the different brands. That is possible if those turkeys they raise are more of a heritage turkey, which would take longer to mature than the Nicholas or Hybrid turkeys that are conventionally raised. The turkeys that are raised by contract growers like myself and on most company farms would either be Nicholas or Hybrid because we can turn our facilities in a shorter period of time and thereby increase the pounds produced per year. Commercial growers can not afford to lenthen the time to market as feed costs are pretty high and we need to produce as many pounds as we can at the most economical cost in order to hold our money together. As I was washing barn this afternoon, I realized the error of my ways. They are raising these birds without the benefit of growth promoting additives, so hence the longer it takes to produce this bird. Someone made the comment that “if it only takes a few more days, then it is worth it”, however it takes about 4 weeks longer to produce a bird that is not as large. We have made great strides in producing larger birds with less inputs through breeding and good nutrition and the growth promotion additives have helped make that happen. Mike-my statement that it is worth it because it only changes the process by days was based on what Carrie was told on her tour (quoted below). Is this not true? 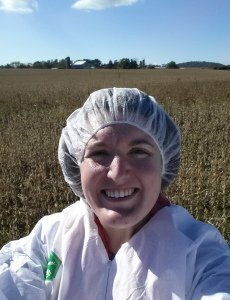 Hi DairyCarrie, I enjoyed reading your blog and am grateful for the work you do to bring such important information to the public. I’m concerned about the use of arsenic containing drugs used in the animal feed for these turkeys and am wondering if you have any information on whether or not ShadyBrook Farms turkeys are fed with food containing any such ingredients. Here is a quote from the NY Times “The compounds — roxarsone, carbarsone and arsanilic acid — have been used in 101 drugs added to feed for chickens, turkeys and pigs to prevent disease, increase feed efficiency and promote growth, according to the Center for Food Safety” The article later states that nitarsone is used with Turkeys and it appears the jury is still out on this one. The reason i’m asking is because my husband is suffering severely from what appears to be arsenic poisoning after eating a chicken we recently purchased. After eating the meat we boiled it down and made chicken soup. 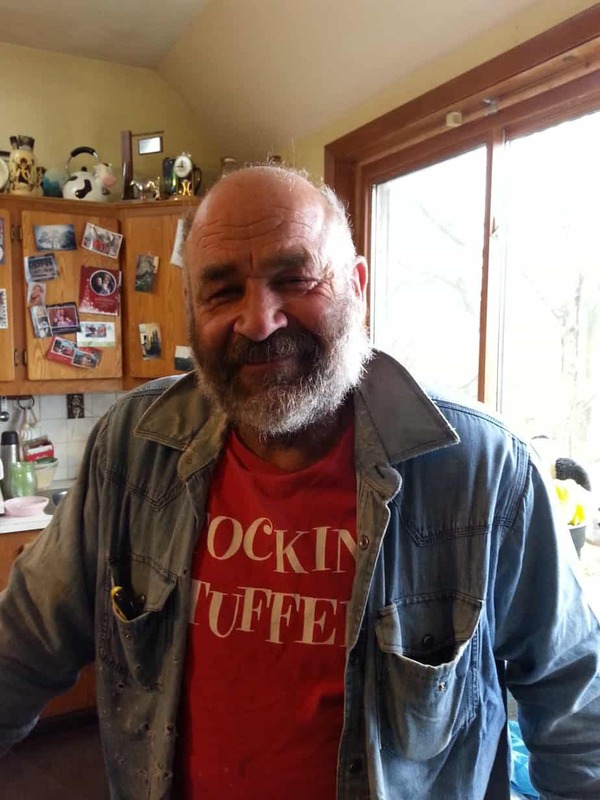 He has a methylation problem with his liver which does not metabolize drugs as efficiently as it should and he is riddled in severe pain with neuropathy and muscle pain. He can hardly stand. After doing research I discovered that there has been found arsenic in chicken AND though the FDA says it has banned the sale of these drugs some farmers stockpile their supply. I have also read that the FDA finds that the levels are so low that it isn’t harmful….maybe not for the average person. I cannot find any other reason why after eating a pot of chicken soup my husband would be suffering so badly. The label said “no antibiotics ever” and I suspect that they have arsenic drugs added to the feed to replace the use of antibiotics. 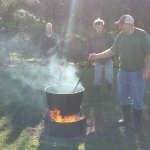 I just wanted to know if you had any information on such practices before I cook up the shadybrook farms turkey in the fridge for chili. I am afraid to use any meat now and don’t think I can return it. Thanks! As I am not a poultry farmer I can’t really speak to your comment very well but I think there may be some information you’re missing. At the bottom of this post I linked to the blog of a turkey producer, I think she has more information on what you want to know about and would be a better source of information. All drugs used for turkeys and chickens have specific withdrawal periods prior to marketing that are strictly adhered to. Usually two weeks prior to slaughter, a few animals are euthanized and the fat from the abdominal area is harvested and sent to a laboratory to check for any residues such as animal drugs to make sure they are within tolerances specified by FDA. 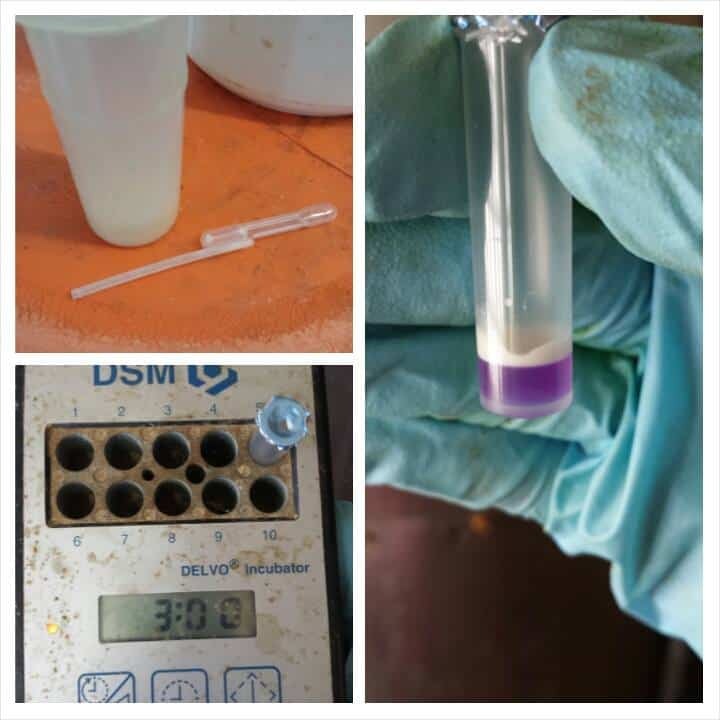 If the results indicate higher than the specified tolerances, said poultry would not be sent to slaughter until another test would be done to indicate that the levels, if present, would be in a safe range. We are talking parts per billion which would be negligible. If a poultry producer sent a flock to market without the proper testing, he would potentially not get paid for said flock. The risk is too great for us to do that as we have worked too long and too hard not to get paid. 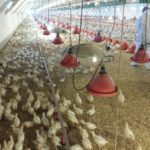 Any antibiotic fed to poultry can be effectively removed from poultry within 2-5 days and so the feed fed the last week before market is a plain feed that flushes any drug out of the birds system. The chances of eating poultry meat and getting a large dose of any kind of drug that may cause illness is very remote. The arsenical drugs listed are generally not used on a regular basis and would only be used under a veterinarians’ care and supervision and strict withdrawals times would be adhered to. Oftentimes these particular drugs might be used early in an animals life and by the time the bird goes to market, there would be no evidence of use of that particular drug. You should see if you can contact Dr. Richard Raymond and ask him about drug residues in poultry. He is a human medicine doctor that has worked in the livestock industry. Is it likely that routine feeding of antibiotics will lead to multiply resistant strains of bacteria infecting animals? I Liked The Article Til You Had To Go And Get Snarky At The Food Babe.